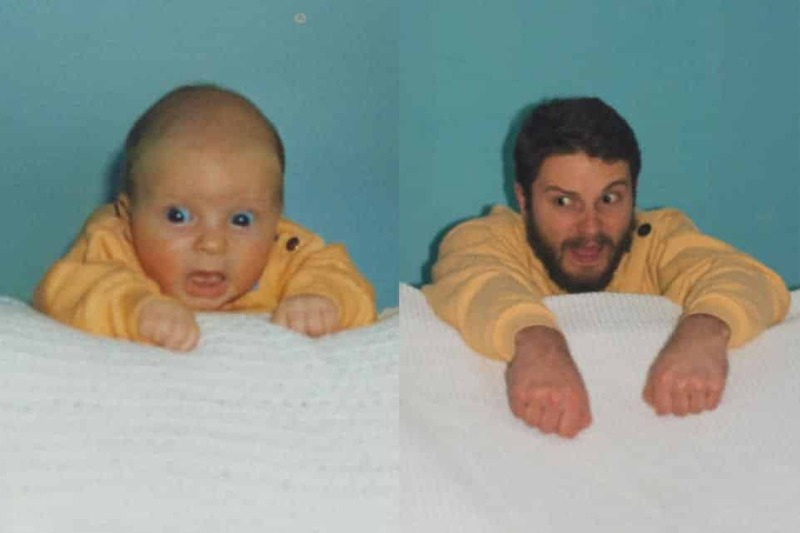 What better way to spend a Sunday afternoon than trawling through the boxes of old baby photos at your parents’ house? The answer is, by recreating them of course! 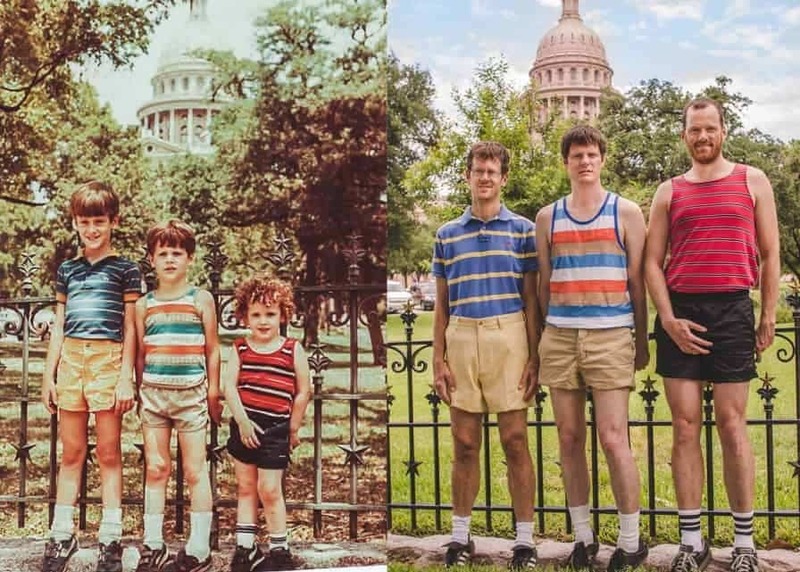 This recent craze has clogged the internet with endearing, hilarious and downright creepy shots of fully grown adults recreating their favourite snaps from their childhood. If you love bad 80s hair, offensively patterned clothes and people making fun of themselves, you will love these. 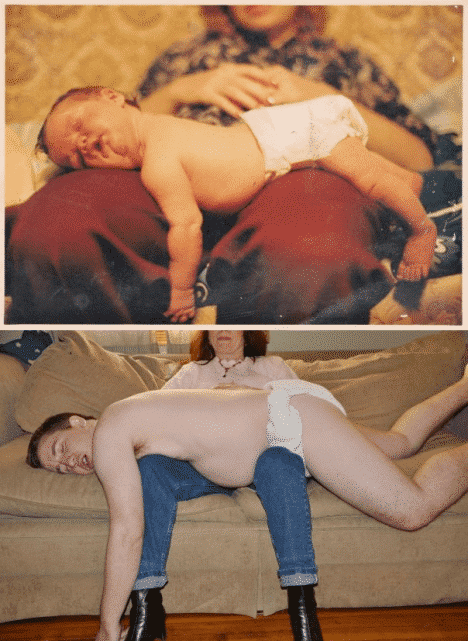 After hours of research spent searching through the deepest darkest pages of the world wide web, here are 10 of the funniest and best photos of adults recreating photos from their childhood. 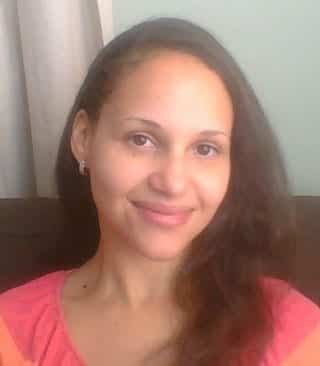 You can only imagine the horror on this mum’s face when her son suggested recreating this intimate baby snap. 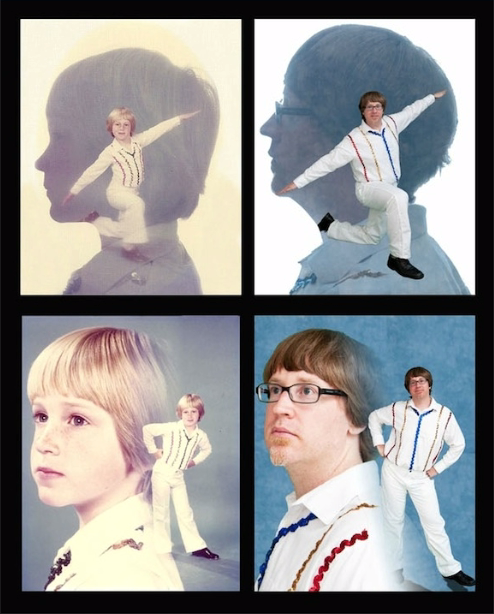 The perfect family photo recreated from a 1982 original. This one makes the list for the costumes alone, who knew you could get such brightly offensive shirts these days?! Ah, the obligatory photo of an older brother cuddling his younger brother. Slightly less cute when they’re both adults. 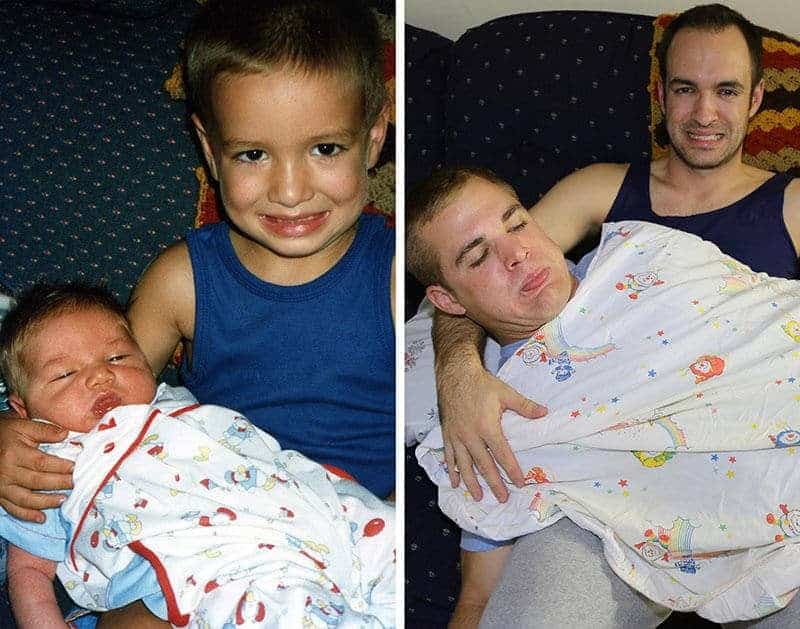 These two have captured their childhood facial expressions perfectly. This one had to be included for the awkward crotch grab alone. 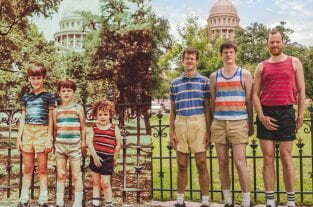 These brothers have gone to town on the detail, right down to the striped socks. This determined baby face says it all, especially decades later with a beard. 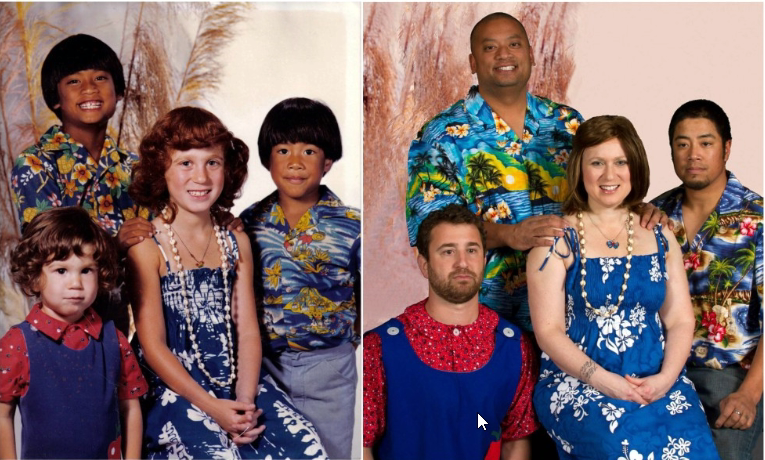 This one goes some way to proving the theory that while matching clothes on siblings is cute, there is an age limit. This one has it all – hilarious baby hair, patterned wallpaper and a contortionist. A pretty brave model, it has to be said. Naked photos are pretty adorable when you’re a kid, but slightly terrifying when you’re a full grown man. There are no words to describe this one, it’s just amazing. An innocent childhood snap capturing some skateboarding fun is hilarious when recreated complete with denim cut offs.